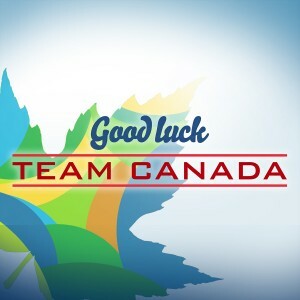 The 2016 Summer Olympic Games in Rio de Janeiro came to a close on August 21st, and as the Official Opposition Critic for Sport, I could not be prouder of Team Canada’s performance! Altogether our athletes took home 22 medals, one of the best showings ever for Canada at a summer Olympics. Some highlights included swimmer Penny Oleksiak, who at the age of 16, became Canada’s most decorated summer Olympian at a single games by winning four medals, including one gold! Trampoline athlete Rosie MacLennan also wowed everyone by taking home her second Olympic gold medal after first winning in London in 2012. All in all, 16 of the 22 medals were won by the women of Team Canada. Great job ladies! Another remarkable performance came from Saskatchewan’s own Brianne Theisen-Eaton who won a bronze medal in the heptathlon. Brianne is originally from Humboldt, and it was wonderful to see her up on the podium, representing both Canada and Saskatchewan! Team Canada’s men also had some extraordinary performances. Derek Drouin won a gold medal in men’s high jump, and Andre de Grasse won a silver medal for the men’s 200 metre sprint. Way to go, guys! Overall, the 2016 Summer Olympic Games were a great chance to showcase Canada’s skill, commitment, and support for high performance sport. We are so proud of all of our Olympians, and we are looking forward to the 2016 Summer Paralympic Games which take place from September 7 – 18. Go, Canada, Go!